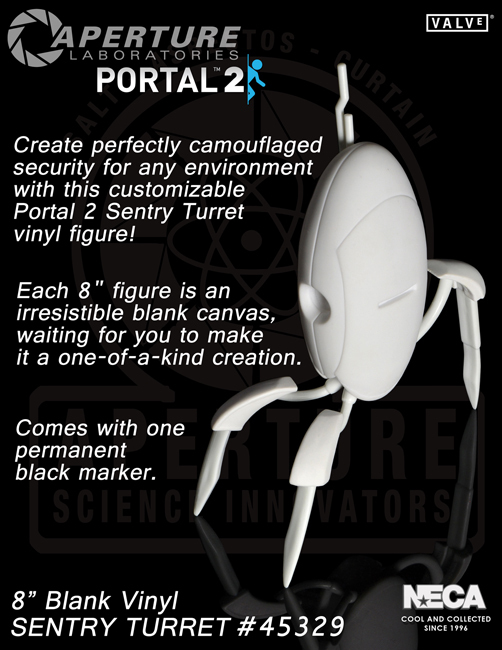 Create perfectly camouflaged security for any environment with this customizable Portal 2 Sentry Turret vinyl figure! Each 8″ figure is an irresistible blank canvas, waiting for you to make it a one-of-a-kind creation. Comes with one permanent black marker.